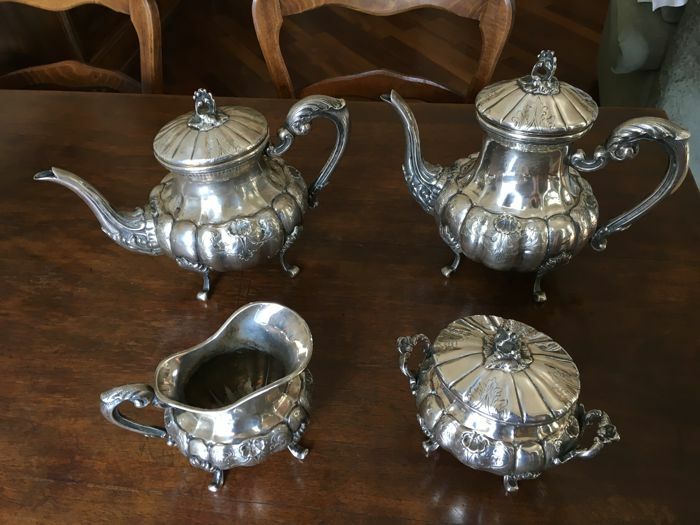 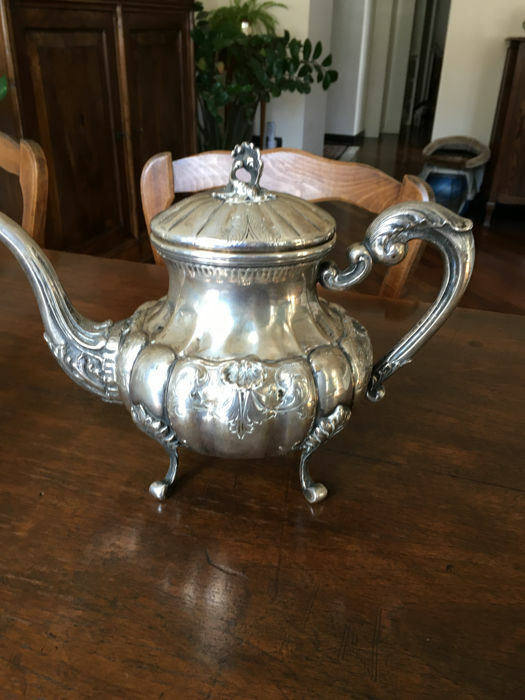 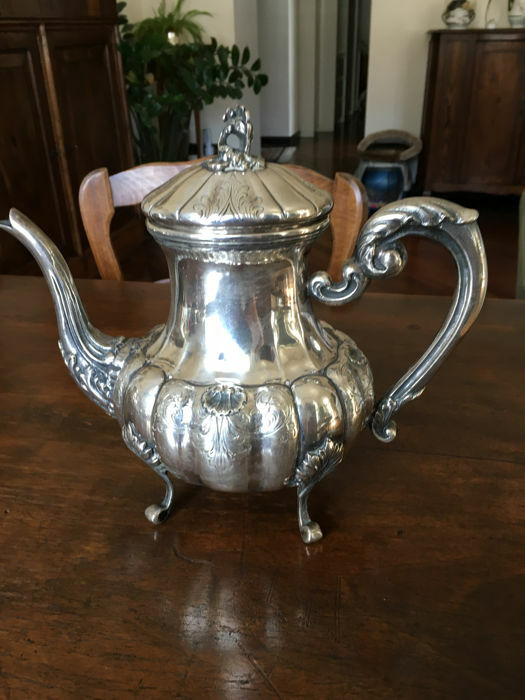 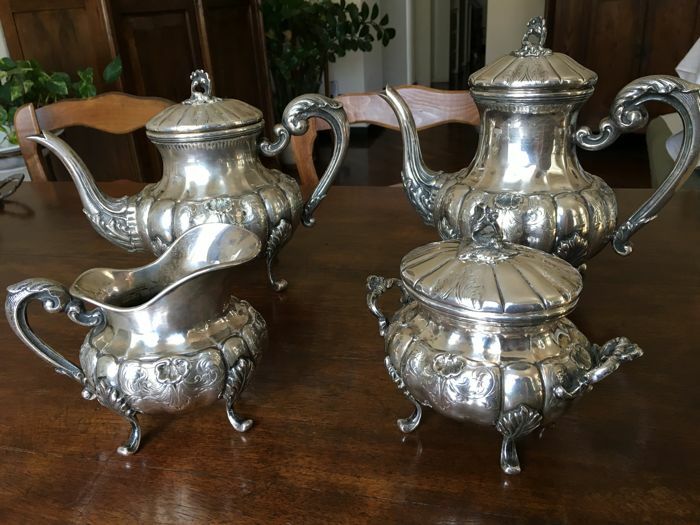 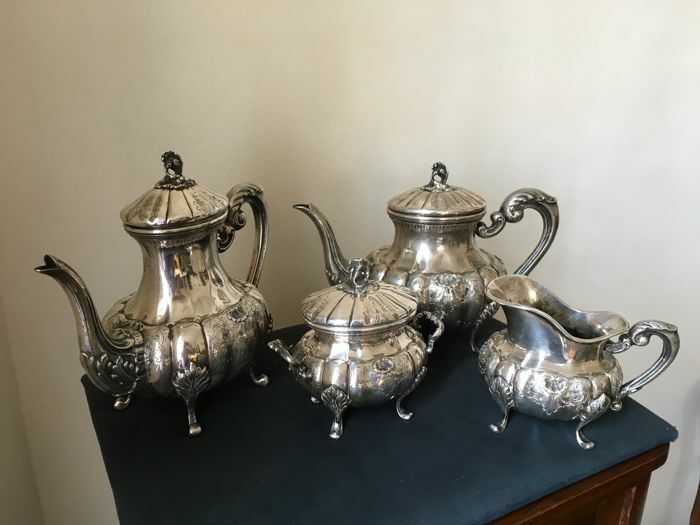 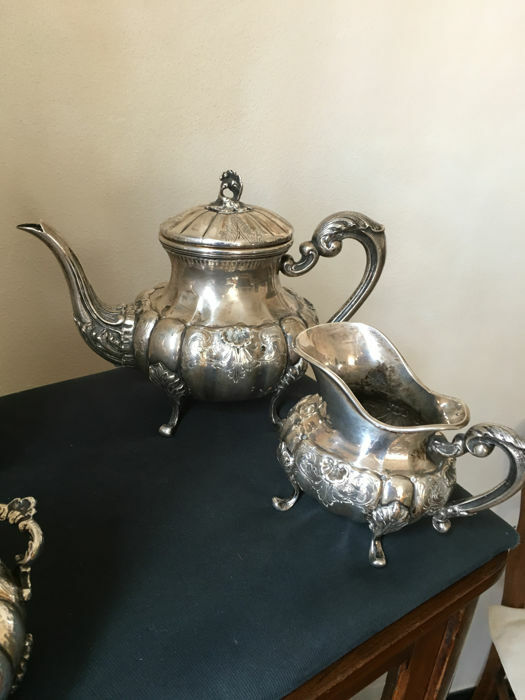 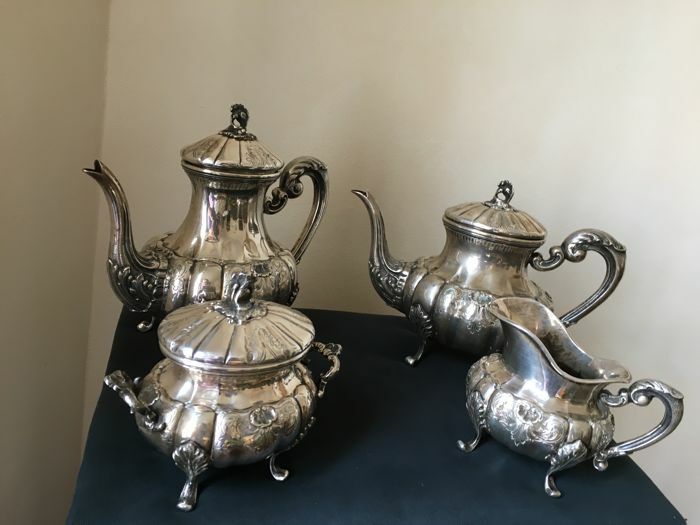 Great tea and coffee set in silver 800, chiselled with plant volutes and shells, resting on curved palmette-legs, handles decorated with acanthus leaves scrolls, lids with leaf-shaped grips. 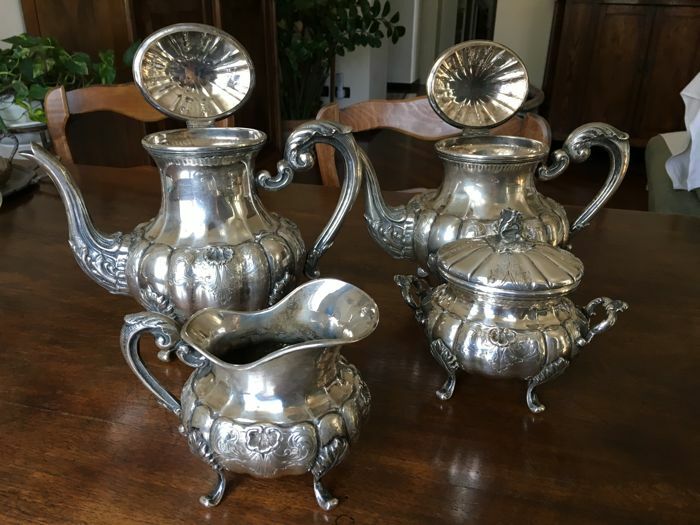 Teapot 1252 grams, coffee pot 1223 grams, sugar bowl 549 grams, milk jug 464 grams. 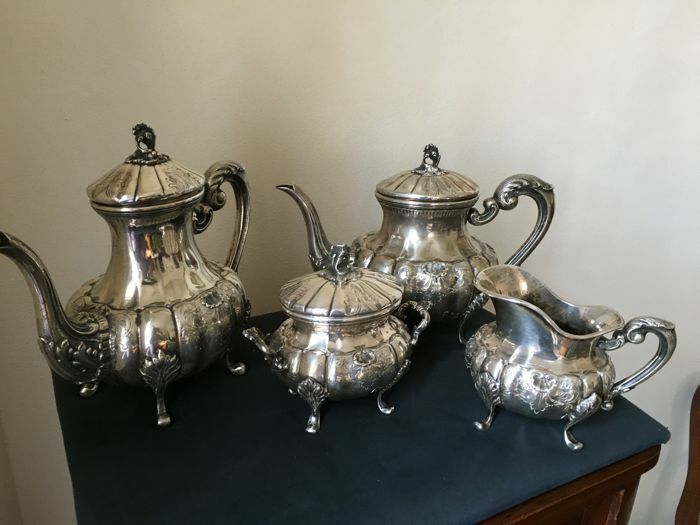 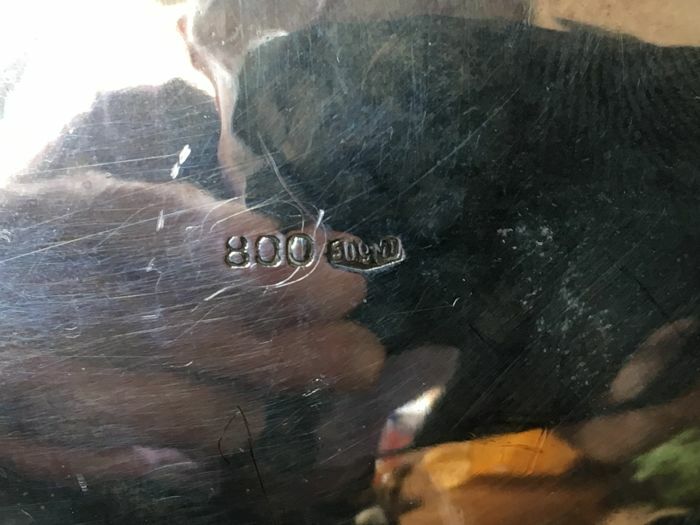 Condition: the whole set is in very good condition. 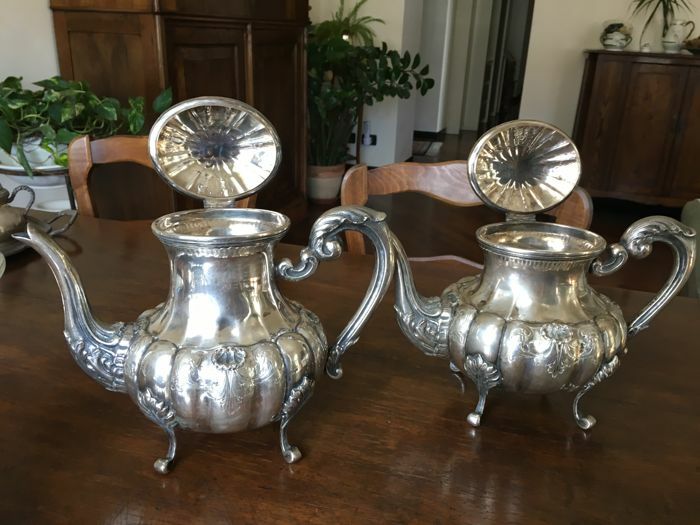 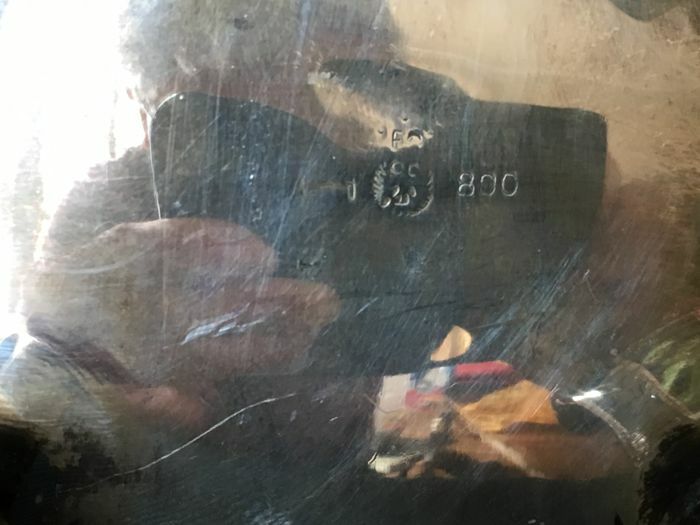 You can pick up this lot from the seller: Genova (genova cell.3484209233), Italy.